The Orthodox Service of Matrimony is what we colloquially call a Wedding or Marriage. Outsiders see the service as long and full of symbolism, but the service beautifully illustrates the man and the woman coming together through the grace of God. Matrimony is one of the seven mysteries (sacraments) of the Orthodox Church, in which only those who are called to be married should be partaking in the service. The Orthodox understanding of marriage is very different. The couple being married does almost nothing during this service, but rather it is God that unites the two. For this reason we have no vows, no person-to-person exchange of rings, and no movements that we lead ourselves into. This does not mean that the Orthodox haven’t made a promise to each other, a ring to signify their promise, and walking together, but rather it means that the marriage is united by the Power of God, not by a personal and weak bond. 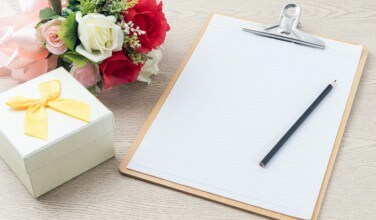 Though the theology of marriage and the Orthodox Church’s stance on marriage seem to be perfect and beautiful, it doesn’t mean that divorces don’t occur, but they are highly discouraged, and the divorce is typically suspect to an ecclesiastical (Church) court for final resolution to the marriage, but really never the approval of the divorce. The Church allows up to 3 marriages, but no more, and by correct practices, the 2nd marriage is much more solemn, not having the joy and pomp of the 1st marriage, and 3rd marriages are not very common. In the Gospels, Christ speaks of an indissoluble marriage, we recognize the weakness and sinfulness of all of us and that is why divorce is even permitted. 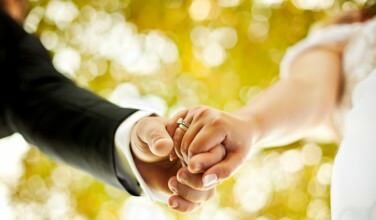 In the Orthodox Matrimony we typically find two services being performed. First is the Betrothal which includes the rings. Second is the Crowning Service which more mirrors Liturgy and which was the part that used to be in the Liturgy. When the bride walks in the chanters/choir can chant “Axion Estin (Truly you are worthy),” which is a hymn to the Theotokos, which we also chant/sing (usually in a different tune) during the Liturgy. There are Epistle and Gospel readings, as well as a quasi-communion in the common cup. In current practice we have the sponsor(s) [Male=Koumbaro, Female=Koumbara, Couple=Koumbaroi], candles, rings, crowns, common cup and the Dance of Isaiah.